To provide photographers with a broader perspective about mobiles, lenses and cameras, here are links to articles, reviews, and analyses of photographic equipment produced by DxOMark, renown websites, magazines or blogs. 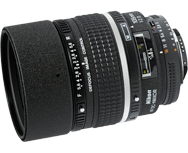 With a slightly narrower angle of view and a slightly greater image magnification than the 85mm, resulting in marginally more pronounced subject isolation, the 105mm has long been a popular alternative. This new high-speed F1.4 autofocus model from Nikon will eventually replace the earlier AF DC-Nikkor 105mm F2D (defocus control) model, and is currently the fastest of its type. After testing the remarkable Otus 1,4/55 from high-end maker Carl Zeiss we were curious to see if the optical performance of the Apo Sonnar T* 2,0/135 may be close. Read on to find out how well this lens performed.